Bob Bernotas' articles about the art and craft of jazz brass playing are collected, in revised and expanded form, for the first time in this single volume. 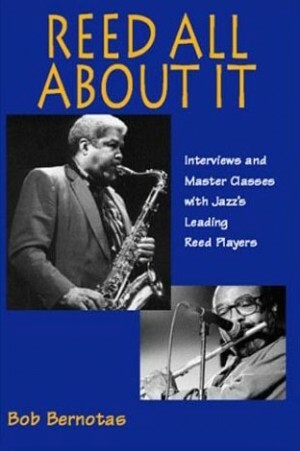 Musicians and serious jazz fans alike will enjoy and be enlightened by these interviews and master classes with J.J. Johnson, Clark Terry, Art Farmer, Benny Powell, Al Grey, Lester Bowie, Slide Hampton, Claudio Roditi, Steve Turre, Grover Mitchell, Wallace Roney, Robin Eubanks, Conrad Herwig, Valery Ponomarev, Ingrid Jensen, Bob Stewart, Byron Stripling, Ray Vega, plus a dozen more jazz brass artists. "I highly recommend this important collection of articles, interviews, and master class transcriptions to brass performers, students, and teachers of all styles! Top Brass ... gives its readers insight into a world often unexplored in today's music industry, that of the serious jazz artist. ... The artistic integrity of each artist as well as their heartfelt dedication comes through loud-and-clear in each and every dialogue. ... Top Brass is required reading." Bob Bernotas is a widely published jazz journalist and a respected historian and lecturer. 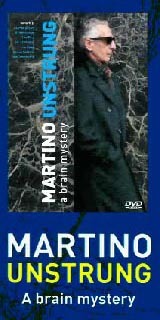 Bob's profiles, interviews, and reviews have appeared in such print and Internet publications as Piano & Keyboard, Saxophone Journal, Jazz Player, Windplayer, the Online Trombone Journal, the International Trombone Association Journal, Jazz Improv, AllAboutJazz.com, and New York Latino. 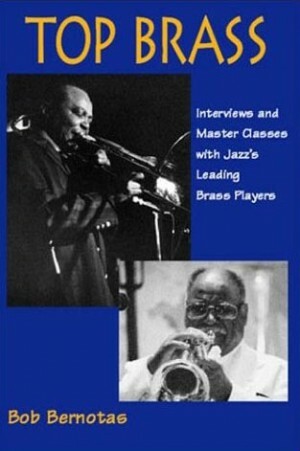 He is the author of Top Brass: Interviews and Master Classes with Jazz's Leading Brass Players and Reed All About It: Interviews and Master Classes with Jazz's Leading Reed Players (Boptism Music Publishing), and Branford Marsalis: Jazz Musician (Enslow Publishers), and has written liner notes for over fifty jazz CDs. In September 2003 Bob debuted his weekly radio and Internet program, Just Jazz, which since November 2004 has been heard over 91.9 WNTI-FM in Hackettstown, NJ. Just Jazz also streams worldwide at www.wnti.org. Every Sunday night Bob presents five hours of the traditional, modern, avant-garde, and Latin sounds of jazz. Each program includes an hour-long "Just Jazz Presents..." segment, which showcases a particular instrumentalist, singer, composer, or style. Another regular feature of Just Jazz is the "Artist of the Month," a jazz legend profiled by Bob and spotlighted during the entire month of programs. For updates on upcoming features, special programs, and guest co-hosts, subscribe to the monthly "Just Jazz e-Newsletter" at bob@jazzbob.com.